Show Your Shellfishness: T-Shirts are Here! Have you ever woken up and thought to yourself, “Man, if only I could bring the sweet joy of seafood to the world!” No? Well, even if you haven’t, now you can show your love for oysters and seafood with a W&T Seafood t-shirt! We’ve put a lot of thought and care into the following designs, which are perfect for demonstrating your shellfish pride and seafood connoisseurship. With these shirts, you’ll definitely be the talk of the raw bar! This shirt features a map of prominent US oysters and their locations. Learning an oyster’s harvest location is key to understanding their “merroir,” or the geographic and climactic nuances that create each oyster’s unique flavor profile, much in the same way that terroir helps you understand wines. Merroir, merroir on the wall, who’s the tastiest of them all? 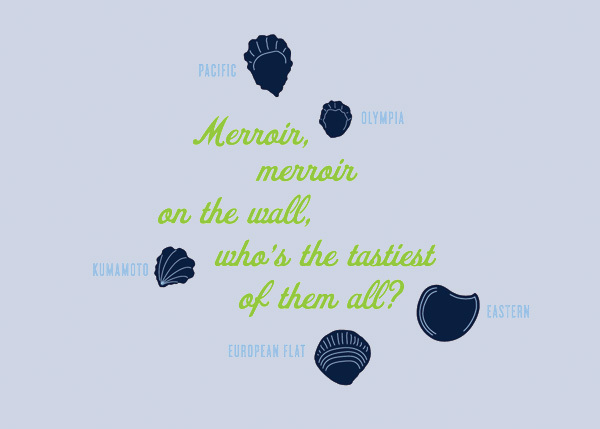 In a playful riff off the Snow White fairytale, we’re asking which oyster is the tastiest of all. Of course, there’s no right or wrong answer; every oyster has its own merits! Thus, this shirt includes drawings of all five commercially grown oyster species in North America: Eastern, Pacific, Kumamoto, Olympia and European Flat. The oysters are all drawn to scale, relative to each other. Move over, Virginia—oyster lovers want to have some fun too! The Eastern oyster (Crassostrea virginica) is the dominant oyster grown on the East Coast, and flourishes all the way from Southern Canada to the Gulf. 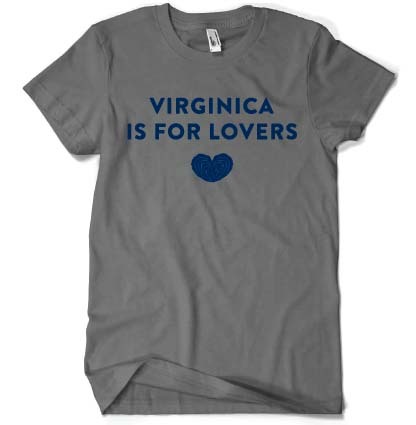 Celebrate the Virginica oyster and show your appreciation for fine brine! Each shirt includes the W&T Seafood logo on the back of the shirt. 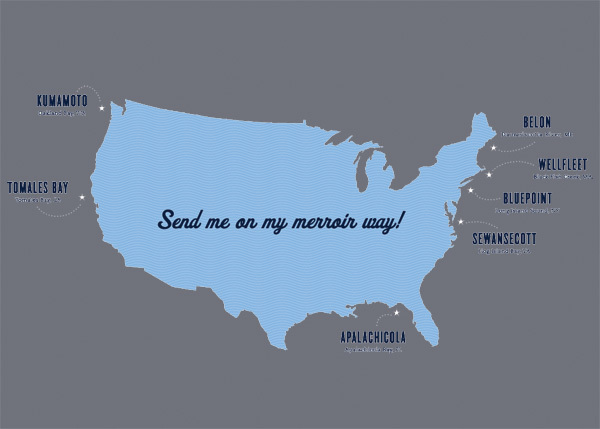 The Map and Virginica shirts are available in men and women’s sizes, and the Merroir shirt is available in women’s sizes. We have a selection of men’s and women’s small, medium and large shirts. These are lightweight fine knit jersey cotton tees, with contemporary fitting and tear-away tags. We’ve opted for water based discharge ink, which gives you a super soft, breathable piece of apparel, and it’s also more ecofriendly than heavier plastisol inks. Colors may vary slightly from what is shown. For more info on sizing, see the chart below. To Purchase a Shirt: The shirts will be available for sale on our webstore. Each will be priced at $20, so pick up one or three for your friends and family!